Welcome to Kitchen Shop QLD, your local leader in traditional and contemporary kitchen and bathroom renovations on the Sunshine Coast. Whatever your lifestyle and budget, we’ll help you find the perfect kitchen remodelling solution, from inspiration to completion. 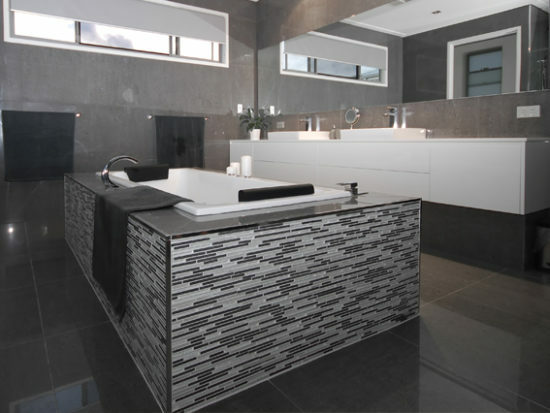 Specialising in all aspects of kitchen and bathroom renovations, we offer a complete project management service, coordinating all trades to deliver and install your new kitchen and hardware. 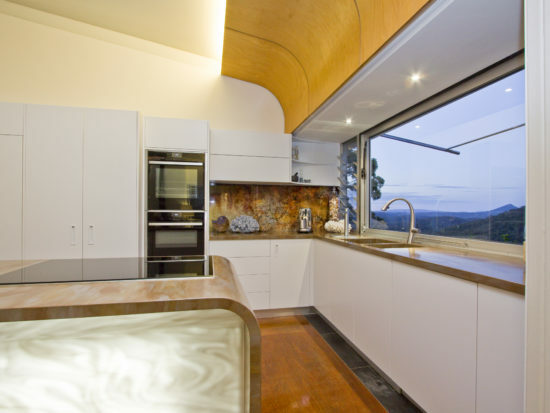 Our managing director with over 40 years’ industry experience, Kitchen Shop QLD can make your dream kitchen a reality. Thank you and all the tradesmen involved!Mum did say that all the guys did a good job. It is a plesure to work with people who are organized and do a good job. Wish it would happen here occasionally! Thank you very much for the work you have done. The kitchen looks so much better and the colour which you helped me choose for the bench tops was definitely the right choice. If we need any work done in future, I will definitely be giving you a call. The final touch and the whole kitchen has worked out exactly as we had hoped - it looks great and again we congratulate your company on the quality of your work and the good people you work with. John and I want to thank you, Nicky, Col and your staff very much for dealing with us and making our dream kitchen. I do hope you can pop in one day when it's finished totally. We are very happy, I can't believe the difference it's amazing I will take some photos when I have put my touches on it. Dear Alan, Narelle, Nicky & all the team at Kitchen Shop. Thank you for all your great work and advice on the refurbishment of our unit at Pelican Waters. It looks fantastic and we're very happy with it. It's been a lot of fun working with you! Danny and I would just like to say a big thank you to both of you and the team at Kitchen Shop for your efforts and help to make our kitchen renovation such a success. We love the look of our new kitchen and how well it works for us. From our first meeting with you to discuss our plans for a new kitchen to the knockdown of the old kitchen and the installation of our gorgeous new kitchen, we have been impressed with the attitude and service and quality of the people and products at Kitchen Shop. You took away the many hassels that we know we would have had to deal with if you had not been there to organise and co-ordinate the various trades people for the different stages of the installation. We also appreciate the external people and trade businesses you recommended. Again this saved us time and we knew we would be getting a quality job done. We wish you all the very best and again, thank you. Firstly thank you very much for the great job in supplying, designing and constructing all the cabinets for our Kitchen and vanities for our place at Aroona. Both Angela and I are extremely happy and love our kitchen very much, there isn’t one of our friends or relatives that is not blown away by it. It is exactly what we wanted and it looks great, the pull out pantries are really amazing and functional as is your great kitchen mixer tap. We cannot thank you enough for the professionalism , assistance and great workmanship and also the friendly way in which you and the team at kitchen Shop treated us, we tell everyone with great pride were we got our cabinets from. Thank also for choosing our kitchen among all the many beautiful jobs you do to enter into the Queensland kitchens magazine and for also entering it into the kitchen of the year competition. Again we wish to thank and congratulate you and your team for making our concept become reality . Luigi, Angela and the kids. Alan, Nicky and the team at Kitchen Shop Qld did a wonderful and professional job of replacing our kitchen. The timeframe was tight but they understood my vision and took the time to tweak the smaller aspects of the job that meant a lot to me. A pleasure to deal with an experienced team with a wealth of knowledge and products to offer. Thank you Kitchen Shop Qld. We are so happy with our fabulous kitchen and the service we received from Allan and his team at Kitchen Shop QLD. It took us about 2 months eventually to finalize our design and during this time Allan his team were so patient and always there to chat through our ideas so we ultimately made the right choice. Our kitchen was fitted on time and looks amazing. The after sales service is also second to none. Several of our friends had used this company and were really happy with their quality and service so it was a no brainer really.The showroom is really well set up and is even home to fabulous V-ZUG Swiss appliances, which we had never heard of but ended up purchasing. They also designed, supplied and installed new laundry and vanity cabinetry which also looks great. We had a great experience with this company so would not hesitate to recommend. Taking on an ugly duckling kitchen in an open plan modern Queenslander to give it some older character, is no easy vision to implement. When embarking on this project, we sought quotations from six companies to transform our low ceiling square-set modern kitchen into a French country gem that would complement our desire to give our home a more French country-inspired look. When we met with Alan at the Kitchen Shop, we understood from the outset that we were dealing with a professional with great experience in the industry. We also could see that we were communicating with someone who has a natural flair to visualise a client brief at the finest level of detail, and to work collaboratively with the client to refine and improve a design to best meet the aesthetic and functional aspects of a kitchen. In some ways, on paper, the design was pretty simple in that we desired to retain the the practicality of the layout of the existing kitchen and to minimise the cost of relocating services. However, increasing the ceiling height and wishing to include larger period cornices provided particular constraints that would naturally impact the overall design of cabinetry for maximum visual effect and to improve storage options. Alan understood this from the outset and provided informed guidance regularly through many meetings in his showroom, to arrive at an agreeable final design specification, including a full granite benchtop wrapping on three faces. His input to our colour and design choices for the following: two-pack cabinetry (including large glass-doored display cabinet), integrated sensor and down lighting, shelving design, 'hidden' doors, corner mechanisms, knobs and handles, to achieve the required look with the selected granite and appliances, was spot on and reflected his eye for design balance a well as maximised utility. One of the greatest challenges was designing a solution to our desire to have a 'period' arched cooktop canopy, mantle and integrated rangehood, with appropriate finer details in the surrounds that provided sufficient French country style and that would balance with other design elements of the kitchen. That involved him examining pictures from existing websites like Pinterest and other overseas websites that we had discovered, and to then patiently explain and inform a design that was visually balanced but that was also fire safety compliant, functional and which would provide the durability that was part of the longevity that we desired for this kitchen. Major projects like this, involving multiple trades (often working concurrently) requires tight scheduling and effective communication. In the main, this was excellent (and sometimes at short notice) but where issues did naturally arise (as is to be expected with such projects), they were resolved extremely promptly, with patience and clarity, and with an ability to minimise worry for the client. We are extremely satisfied with the quality of the product and associated project management, fabrication, installation and after-sales services. We have been using the kitchen for over three months now and there has only been one post-implementation visit required, to correct only very minor bedding-in issues (eg door hinge adjustment etc), and one of those related matters to an electrical installation issue, for which the Kitchen Shop were not really responsible but which they remedied without question. We have no hesitation in recommending Alan, Nicky and all the team at Kitchen Shop for your kitchen or other joinery requirements, whether they be a new-build or a major renovation transformation like our own. We would willingly utilise Alan's guidance and expertise to assist us to implement our next vision. The team at the kitchen shop are true professionals and I would highly recommend dealing with this business. I am thrilled with the kitchen just completed by the Kitchen Shop. They are very professional and extremely helpful and patient! They provided me with a time schedule for all the trades people from the beginning to the end and this was fairly spot on. I was very impressed with the quality of the kitchen and also the people who put it together including the electrical, plumbing and tiling. Everyone worked as a team, they were flexible and helped each other. We used the Kitchen shop to remodel our kitchen. They removed old bench tops and they replaced them with stone bench tops. Their service and the time frame in which they did this was amazing, as they worked around our needs and time constraints. We are very pleased with all the work and are extremely happy with our new improved kitchen. We would highly recommend them to anyone looking to upgrade their home. My experiences with the Kitchen shop doing a complete renovation of my kitchen was all a pleasure! Alan and his team are super easy to work with and they gave me exactly what I was wanting and it was great to work with such a professional team. I thoroughly recommend them to anyone needing this type of work. I just love my new kitchen! I recently had kitchen and bathroom renovations carried out by Kitchen Shop and I am extremely happy with the results. The project was professionally managed by Alan throughout the whole process and provided a worry free service to me. I used the outside services recommended by Alan and they were all excellent, my thanks to Gillett Electrical, Water Force Plumbing, Sunstate Glass and Mar Gra. Although painting was not part of the project, I subsequently used Green Painting Services as recommended by Alan and they also did a thoroughly professional job. In conclusion I would like to thank Nikki and Alan for their help and advice and have no hesitation in thoroughly recommending the service provided by Kitchen Shop. Kitchen Shop Qld quoted our kitchen renovation. They were prompt with their quote and their staff were all friendly with lots of knowledge. Kitchen Shop Qld organised everything including all the trades which was a big relief. The end product was so professional, on budget and on time and it looks amazing. I would highly recommend Kitchen Shop Qld to anyone thinking of a kitchen renovation or makeover. I would recommend Kitchen Shop to anyone thinking of renovating their kitchen. They are competitive in cost but more importantly they cared about my project and helped me get the best result. 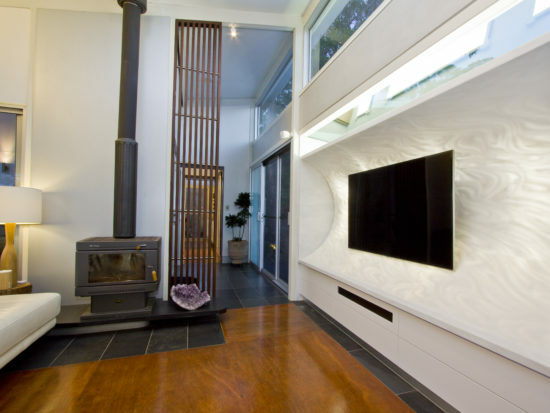 As a first time renovator there was so much I didn't know but owner Alan Schull was patient and helpful and ensured I chose the items that were right for my project and my budget. I was never made to feel silly or annoying. Nicky was also extremely helpful with design choices and information. I am so happy with my kitchen. I am also happy that I supported a family business on the Sunshine Coast. Hired Kitchen shop to fit cupboards to our restaurant wine bar. Proffessionally done and offered a massive range of quality products at a reasonable price. Did the job quickly and fitted around our time frame. Would higly reccomend to anyone who wants a quality job on time. We are extremely happy with how the kitchen has turned out, I think it is even better than we had imagined. We have been very impressed with not only the quality of the work but the professionalism of everyone on your team that we have dealt with. Right from the very first time we walked into your showroom till weeks after the installation you have been incredibly friendly and helpful with your knowledge and advice and have given first class service no matter the situation. Nothing has been to hard for you and that has made the stressful process so much easier. I know that it was not as smooth as installation process as you are probably used to because of issues from our end but I appreciate your understanding and how quickly and efficiently you guys have dealt with everything. For that I want to sincerely thank all of you. We will be recommending your company to anyone who asks and even those that dont! Please pass on our gratitude to all involved in our little project. Very professional ! Our new kitchen is exactly what we aimed for. Advice and recommendations for plumbing, electrical etc. was very helpful. Should we ever do something like this again, The Kitchen Shop QLD is the obvious and only choice. The Kitchen Shop designed and installed our kitchen and bathroom several years ago, as part of a major renovation. As a testimony to their attention to detail, exemplary workmanship and continuing service, it has stood the test of time, and ten years on still looks fantastic, modern and fresh. Since then, they have made storage cabinets, bathroom vanities and other small projects for us, all to an extremely high standard -- which is why we keep coming back again and again! We have always been delighted with the quality of everything they have built for us, and their understanding of the balance between functionality and design aesthetics. I have used the Kitchen shop twice- once for a reno extension and the 2nd time for bedroom cupboards and have both times been delighted with the outcome. The finished product was excellent and I especially loved the high standards of quality, highly organized and always kept to their word. Alan Schull and Co. were friendly and very helpful and organized at all times. I highly recommend them. Have used Kitchen Shop in 2 homes now. One was a reno ,the second was a complete gutting. In each case we were very pleased with their professionalism. Highly recommend them to anyone and have done so to friends. Sunshine coast quality Kitchens, Bathrooms and Joinery.